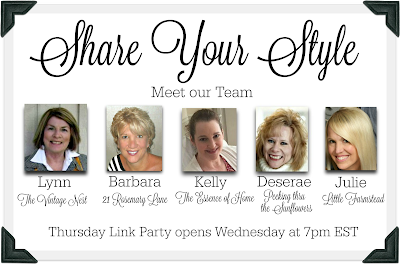 Welcome to the 58th Share Your Style party. What have I been up to this week? 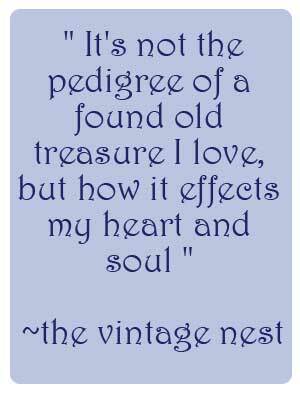 Getting ready for my next vintage home market and painting and sewing for my booth and then packing. Packing for what? I can cross this one off my bucket list. The antiques show that started it all...Round Top, Texas. Leaving in about 1/2 hour for the airport. Can't wait!!!!! Now on to the party. Des of Peeking thru the Sunflowers if your host this week. There was so much great inspiration last week, it is always hard to pick just a few! Everyday Living shared a super sweet baby shower for her daughter. 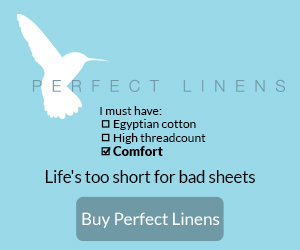 the banner is just so adorable! 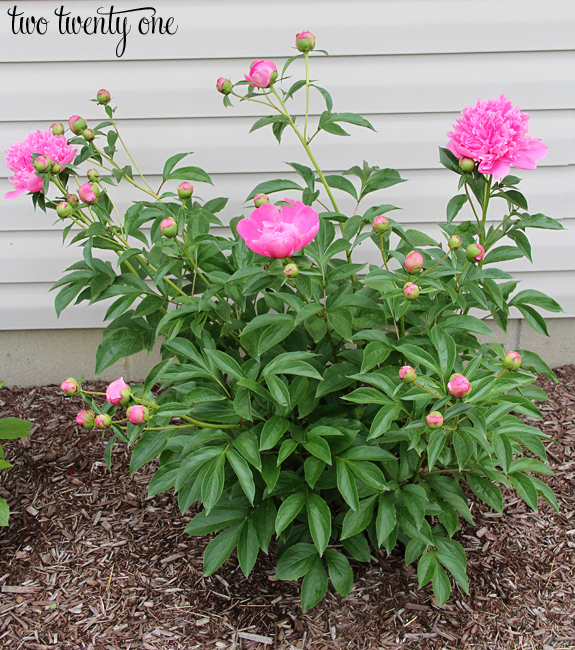 Two Twenty One offered great tips on growing Peonies, one of my favorite flowers. 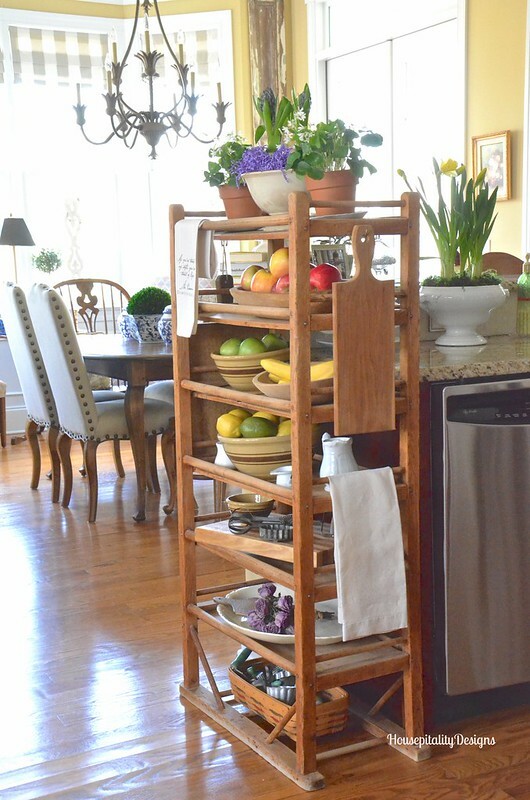 Houespitality Designs shared the most amazing antique baker's rack that she got from her friend Martha who is moving out of state. 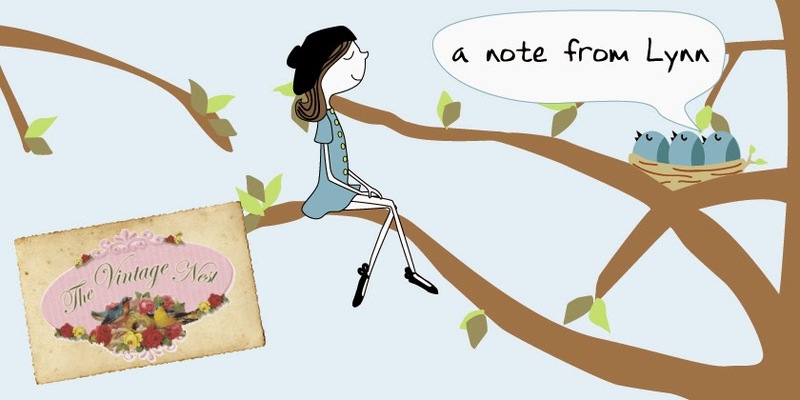 If you were featured be sure to grab the featured button below to display on your blog. 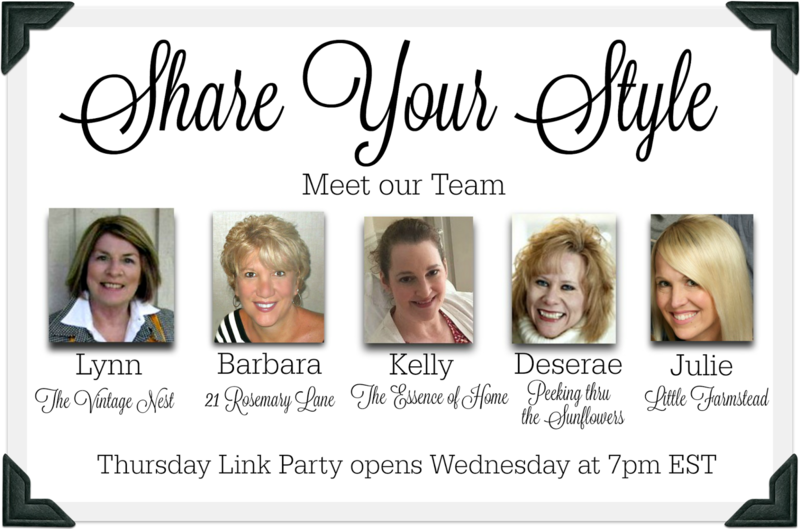 Please be kind and remember to share a link to this party on your post. Not enough hours in the day to enjoy all of these great ideas lol. Thanks for hosting!